Continued is a design from Situjuh Nazara, we know the Stea font, all are impressive typography. 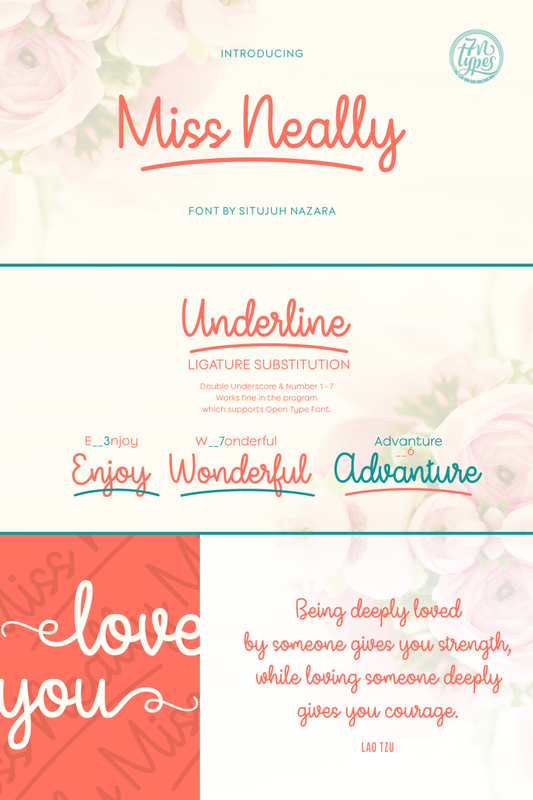 Introducing Miss Neally Script Font! Miss Neally designed by Situjuh Nazara. 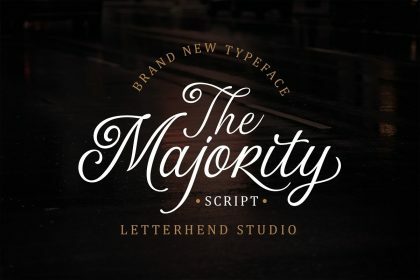 Smooth & Elegant are the best words to describe this stunning font. Miss Neally features initial and terminal swashes for every character. These bonus characters are PUA encoded and can be accessed anywhere. Software that supports OpenType features will also have the option to automatically generate drawn lines underneath the text. 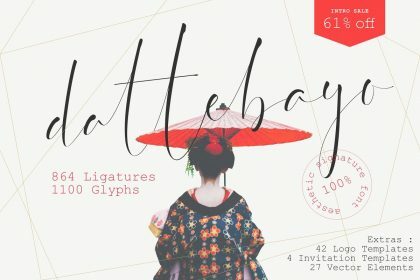 The font includes 7 variations.